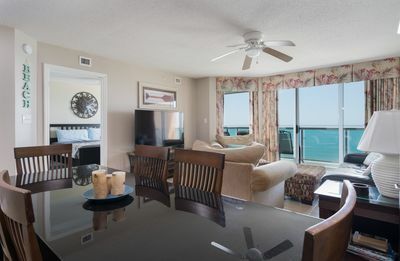 Short Stays (3 night minimum).1 Bedroom 1 bath Oceanfront condo with a grilling area Wi-Fi and a Private Pier for you to enjoy! 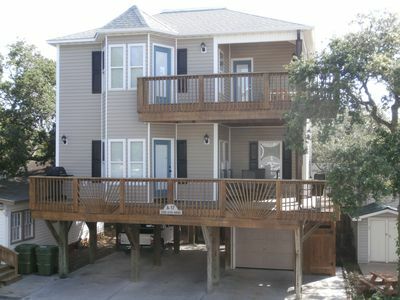 Sea Cabin unit 221 is the perfect North Myrtle vacation rental if you like to fish. 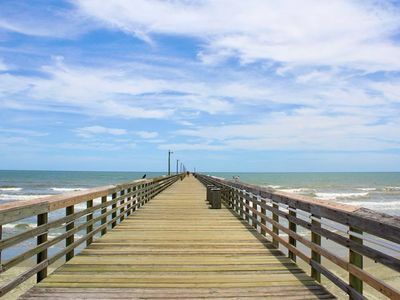 Featuring a private Pier, unit 221 is located in the Cherry Grove section of North Myrtle Beach. 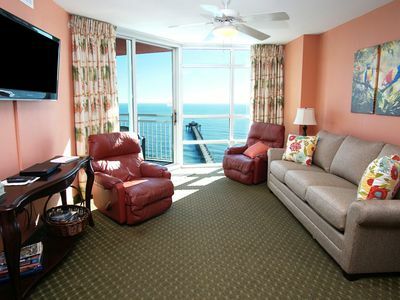 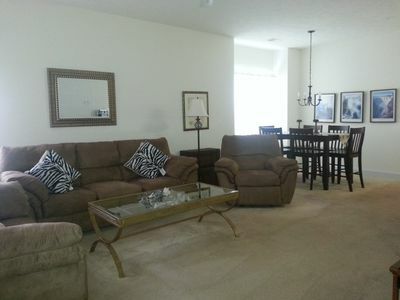 Your North Myrtle lodging is a one bedroom, one bath condo. 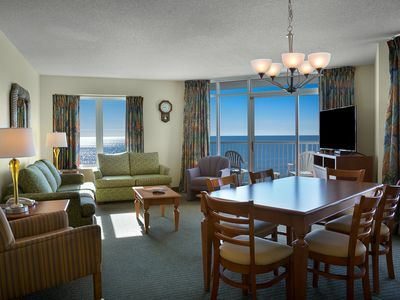 Sleeping provisions in Sea Cabin 221 include a double bed in the bedroom, a sleeper sofa in the living room and two built in bunks in the hall. 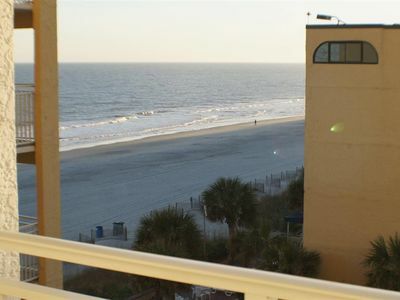 North Myrtle Beach condo rental Sea Cabin unit 221 also features a New flat screen TV in the bedroom as well as a New flat screen TV in the living room. 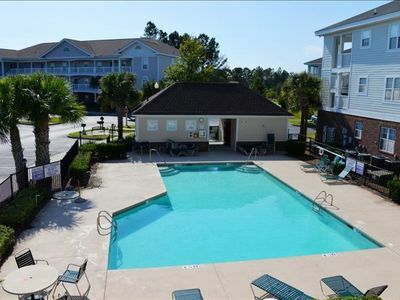 Although this condo rental in North Myrtle Beach does not have a washer/dryer in the unit there is a laundry facility for your convenience on-site. 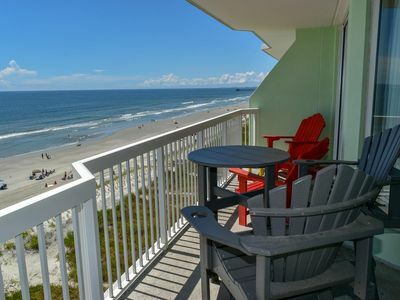 Sea Cabin 221, North Myrtle Beach oceanfront condo, will provide all that is needed to prepare your morning breakfast, a quick lunch or an evening meal. 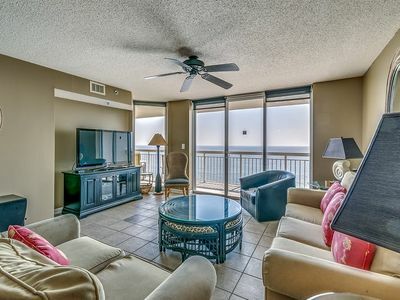 There is also an outdoor grilling area for you to enjoy. 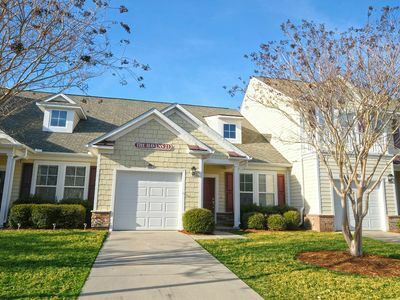 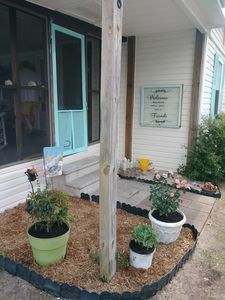 Situated in the Cherry Grove area, Sea Cabin 221 is conveniently located to restaurants, groceries and local souvenirs shops.Your North Myrtle Beach accommodations are also a short drive to all the area attractions. 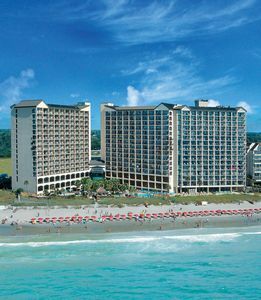 Visit Broadway at the Beach and you'll find Ripley's Aquarium and plenty of shopping and dinning. 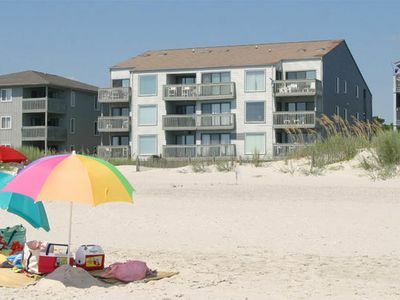 Looking for a special memento of your North Myrtle Beach vacation? 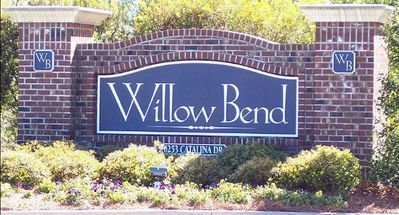 If you don't find it a Broadway, stroll thru the walkways of Barefoot Landing. 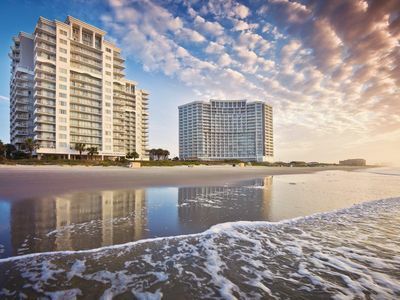 There are plenty of shops and restaurants to keep you busy! 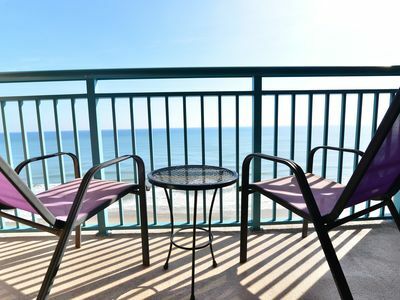 North Myrtle Beach oceanfront condo, Sea Cabin 221 offers a private pool or the white sandy beach to work on that summer tan. 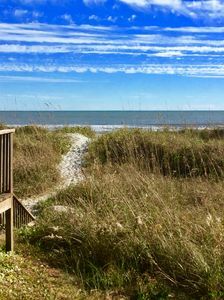 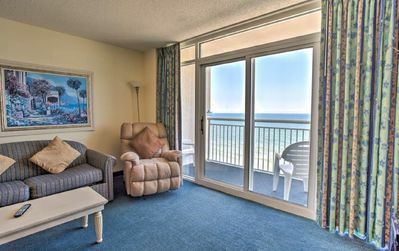 The oceanfront balcony at Sea Cabin 221 is the perfect spot to enjoy the sights and sounds of the beach whether it's watching a sunrise in the morning or unwinding at the end of your day! 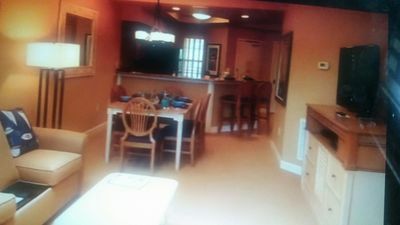 in a gated community with private beach - includes golf cart! 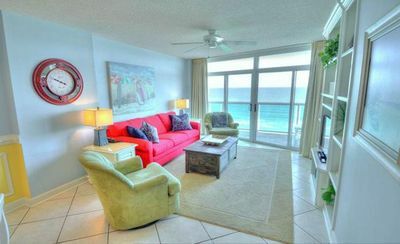 Malibu Pointe - 1204 Beautifully decorated 3-bedroom condo in Malibu Pointe.